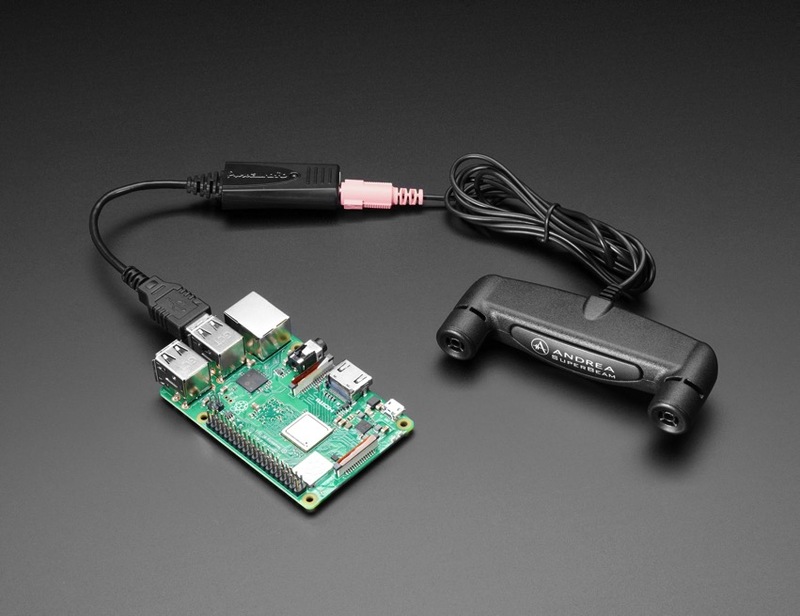 NEW PRODUCT – PureAudio Array Microphone Kit for Raspberry Pi 3 « Adafruit Industries – Makers, hackers, artists, designers and engineers! The Andrea Superbeam Array-PA Microphone is a far-field, 2-microphone array with stereo output and superior quality and performance, designed for hearing and recognizing voices even in noisy environments. We tested it here in the Adafruit factory, and it did a great job picking up our voice commands even when the machines were all running. The microphone is designed to work with the matching PureAudio voice command software. 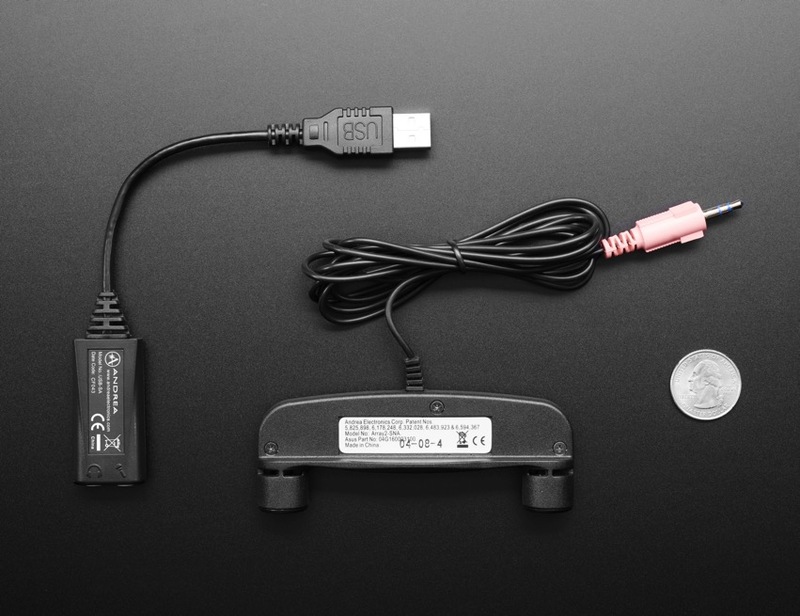 You install the software on your Pi 3 and plug in the microphone. The software comes with a range of commands that it will recognize, and you can tie that to automation commands you want it to run. Note that you cannot define your own ‘trigger phrase’ or voice commands! You can only use the ones that come with the software. That said, you get quite a few useful words in the vocabulary, and unlike most voice software, the recognition is all done on-device so no Internet connectivity is needed. A free download of the Beam forming noise reduction filter software along with the voice trigger phrase “Hello Blue Genie” that enables your Raspberry Pi 3 to be controlled by far field voice commands. 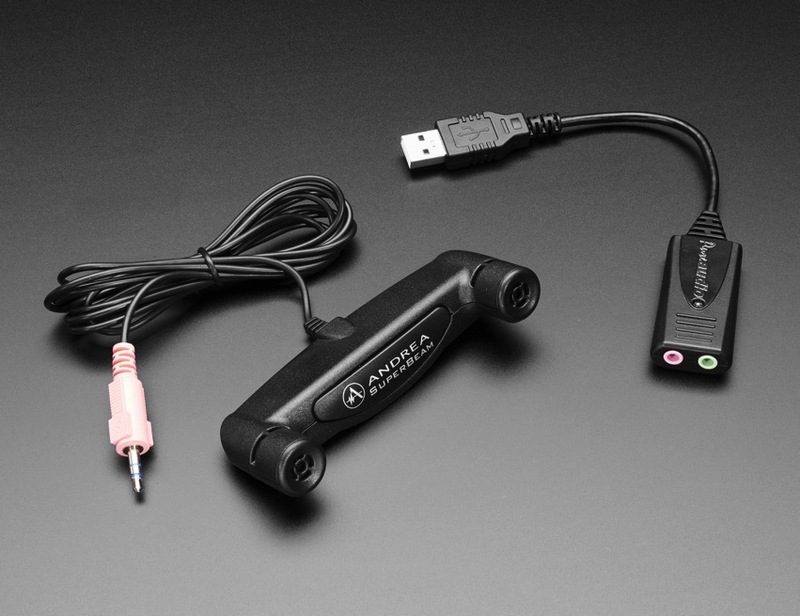 Andrea’s PureAudio USB-PA Digital Audio Adapter is a high fidelity external sound card device with stereo input and output. With the adapter, you’ll be able to dip your maker toes in beam forming, noise reduction and echo cancellation. In stock and shipping now!